Hornady Superformance ammunition transcends convention and achieves the highest performance of any ammunitinon on the market today with cutting edge technological advancement in ammunition design. By using ultra progressive propellants, your favorite SST or GMX bullets achieve levels of performance that are simply unattainable with conventional propellants. In the past, shooters have used a brute force approach of using large charge weights of a slow burning powder in a larger cartridge case which ultimately this leads to more recoil and muzzle blast. The Superformance solution is an elegant approach that utilizes specialized powders at NORMAL charge weights. This in turn imparts ALL useable energy to the bullet reducing the rocket nozzle effect at the muzzle while still increasing velocity! Superformance ammunition is 100 to 200 fps FASTER than any conventional ammunition on the market today, and achieves this performance in EVERY gun, WITHOUT increases in felt recoil, muzzle blast, temperature sensitivity, fouling or loss of accuracy. Superformance is safe to use in ALL firearms, including semi-autos, lever gun and pump actions. 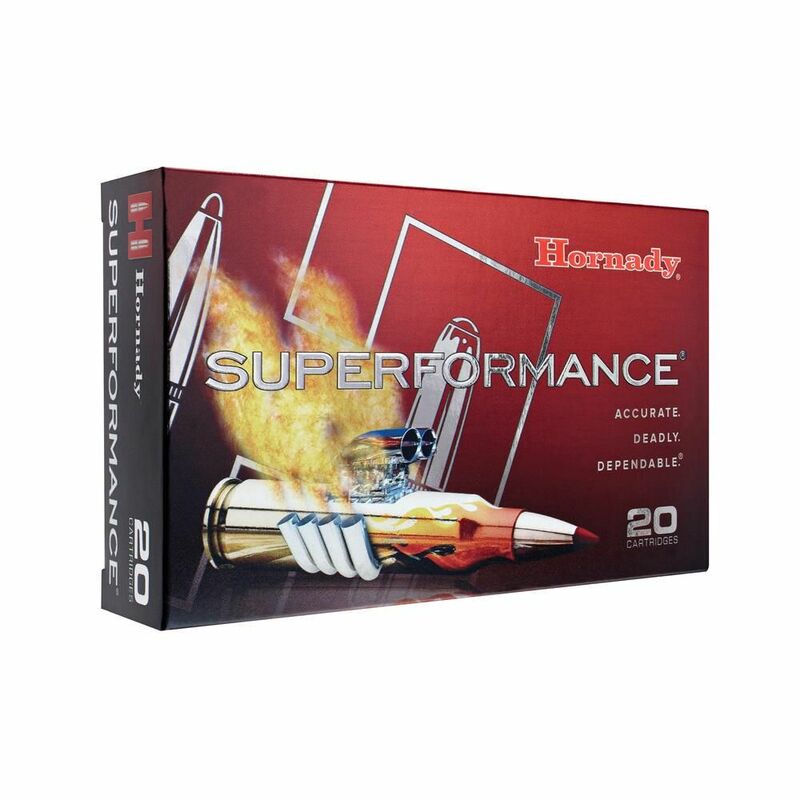 Hornady Superformance increases rifle performance with no increases in barrel wear and felt recoil along with superior temperature stability.